I always used to say that DayZ had the most intense gun fights. But that’s changed, there is a new kid on the block in the form of Playerunknown’s Battlegrounds, and it gives me a rush like no other game has. 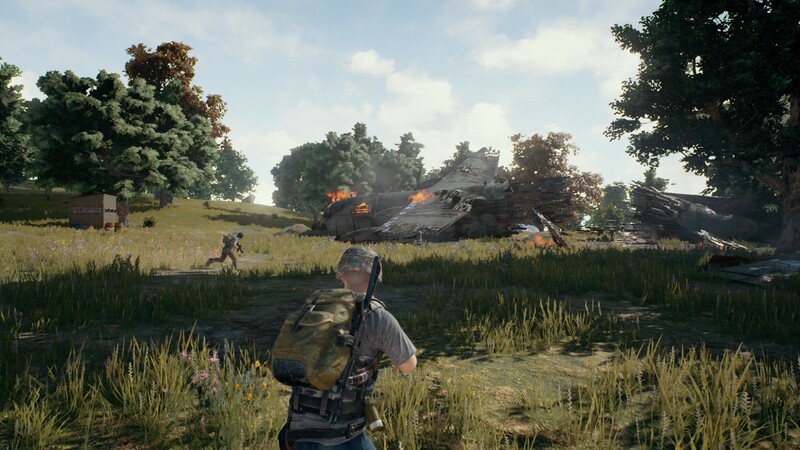 If you’ve been anywhere near twitch recently you’ll surely know about Playerunknown’s Battlegrounds (PUBG), it’s been sitting the top 5 streamed games basically since launch and recently overtook League of Legends – temporarily. The battle royale game has been gaining momentum and popularity at a great pace and for good reason too! It’s an excellent game, and a brilliant example of how early access games should be handled. The battle royale genre is something I’m pretty familiar with having played Amra 3 BR, H1Z1 King of the Kill and The Culling. In my opinion PUBG eclipses all of these; it gets the balance right of being accessible, fun, tactical and intense. Arma 3 BR is a tired old dog, the engine is showing its age, it’s a bit buggy and it can take too long to get in to games. King of the Kill, for me, is too arcadey and just feels a bit silly with it’s over the top outfits, it’s ‘jump out of a speeding car for the no scope’ style gameplay – it’s fun for a while, but I got bored of it. 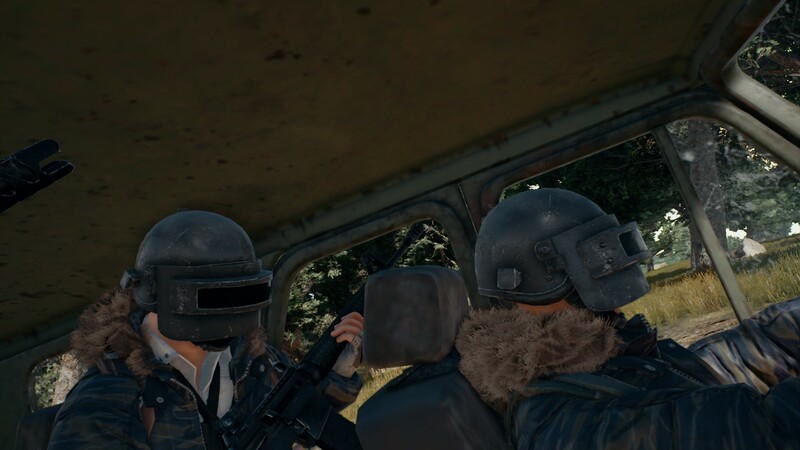 It’s no coincidence that PUBG strikes a good balance between the two with Mr Playerunknown – definitely his real name by the way, being involved in all three games. 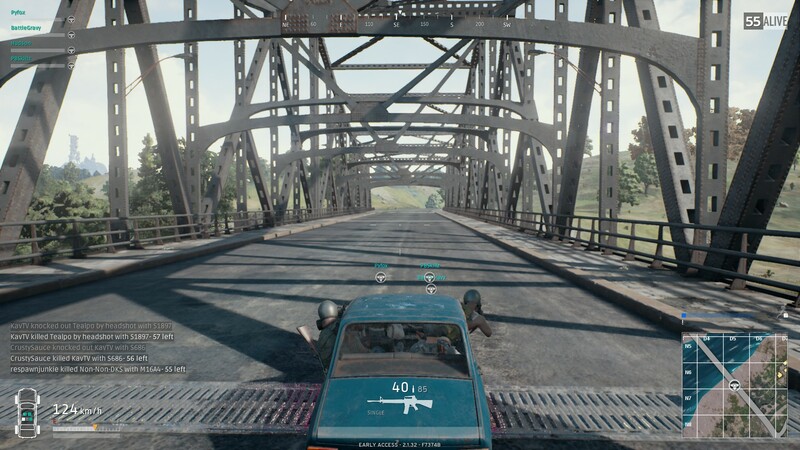 You can play solo, duos, or squad (team of 4) and are dropped from a plane over a large map with 100 other players in a fight to the death. You don’t need to worry about food or staying hydrated; you don’t need to spend hours scavenging for weapons, armour and equipment. Almost as soon as you’ve landed you’ll be armed as most buildings house weapons. This means that the intensity can kick off right from the very first minutes. It gets straight in to the action! Land too close to other players and you could quickly see your own demise. I tend to fly off in a different direction to try and keep away from too many other players, which gives me a chance to gear up a bit and then move on. So what makes it so good then? Well I briefly mentioned about the balance of the game with it being accessible. Servers are super quick to get in to and you can be in a game within a minute or two – including the ‘lobby’ area for any of the game modes. At its core a game always needs to be fun or enjoyable which is most certainly is. I can have a lot of fun playing with a group where we will just end up messing around trying to jump cars on to buildings, dropping grenades near each other and running away – just stupid stuff that takes the edge off of the tense moments. However, for me the most important aspect of a BR game is the tactical plays and intense firefights that really ramp up the tension as the circle gets ever smaller. This is what you need to get spot on. What I love about PUBG is that it doesn’t feel like you even need to be that good to make it to the end of a round; you can play sensibly and cautiously and easily make it to the top 10 – I’ve won a game without even firing a shot. The moments when the safe circle is shrinking and you’re outside of the zone, with the blue electric field closing down on you, but you know someone else is also in the same position so you have a standoff, not wanting to be the first one to move in case they get eyes on you. 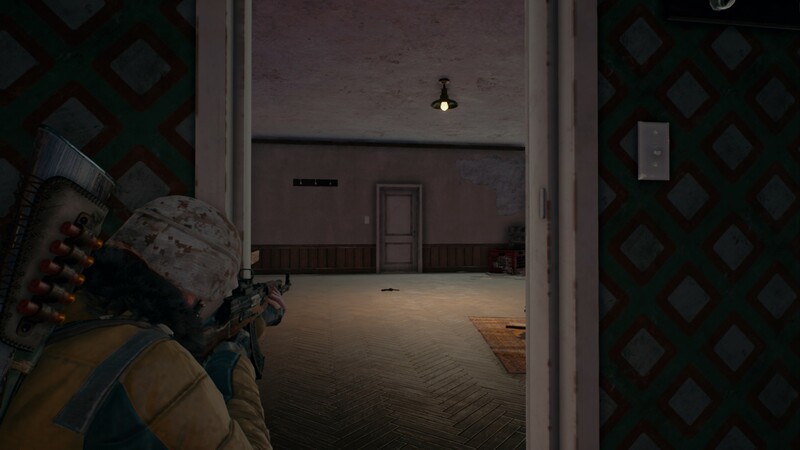 The moments when there are only 4 or 5 people, or one other squad left and you’re just biding your time in a hiding spot waiting for someone to make a move. Those are the moments that this game nails. The gunplay feels good, tight and precise with a lot of different guns to choose from, and if you die, it’s either because you’ve been out played or made a silly mistake. I’ve never felt cheated out of winning games. I have to mention the map design as well, I know nothing about what goes in to making a good map, really, but I certainly know when I’m playing on one. The PUBG map is big enough to not feel overcrowded, but it’s not overly big – like Tanoa or some other Arma 3 maps, which can make you feel like you’re just running forever. The map is varied with mountains, quarries, farmland, larger towns, rolling hills, islands, bridges, sunken towns, underground bunkers and a lot more. The variation across the map is great and makes each game feel different as it closes around different areas forcing you to adapt as you play. You might end up in an area dense with buildings, or in an open field, maybe even fighting over a bridge and it’s all these variations for the end game that keep it interesting and keep me coming back for more. I’ve clocked up almost 50 hours so far, and whilst to some that might not seem a lot, that’s more than I’ve put in to most games on my steam library. Is the game perfect? No, there are some bugs and a few issues here and there, but the development team are keeping the players in the loop as to what’s being tackled and so far it’s working very well. In my opinion Playerunknown’s Battlegrounds is going to be the benchmark for all future battle royale games – as if we even need another one now.